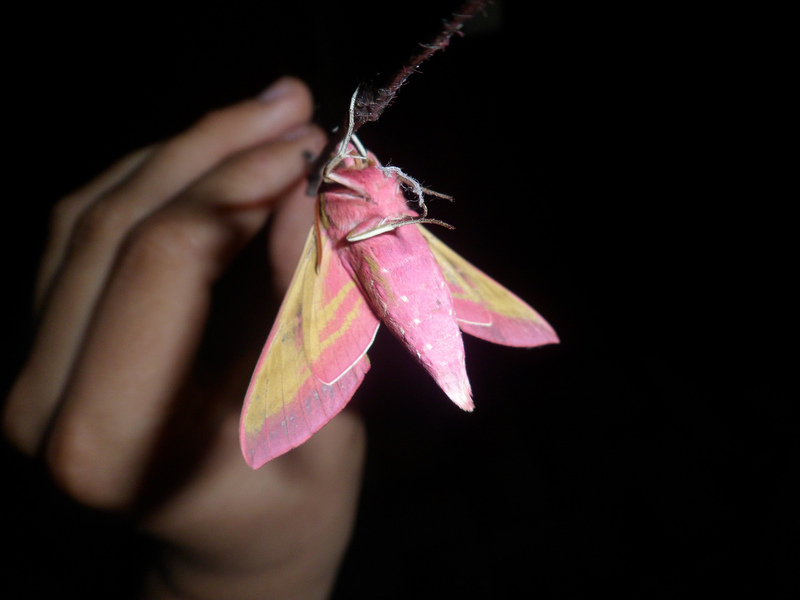 Deilephila elpenor — “Elephant hawk” | Welcome, visitor! Deilephila elpenor, also known as the “Elephant hawkmoth” is a beautifully neon yellow/pink-coloured hawkmoth, that originates from Europe, Russia and parts of Asia. This species is usually single brooded, although rarely they may have a partial secondary generation. Emerging mainly during the summer months (June, July) this is perhaps the most colourful hawkmoth species in Europe. Their preferred host plants are Willowherb (Chamerion angustifolium, Epilobium sp. ), Bedstraw (Galium sp. ), Grapevine (Vitis vinifera), Loosestrife (Lythrum), and Primrose (Onoethera). 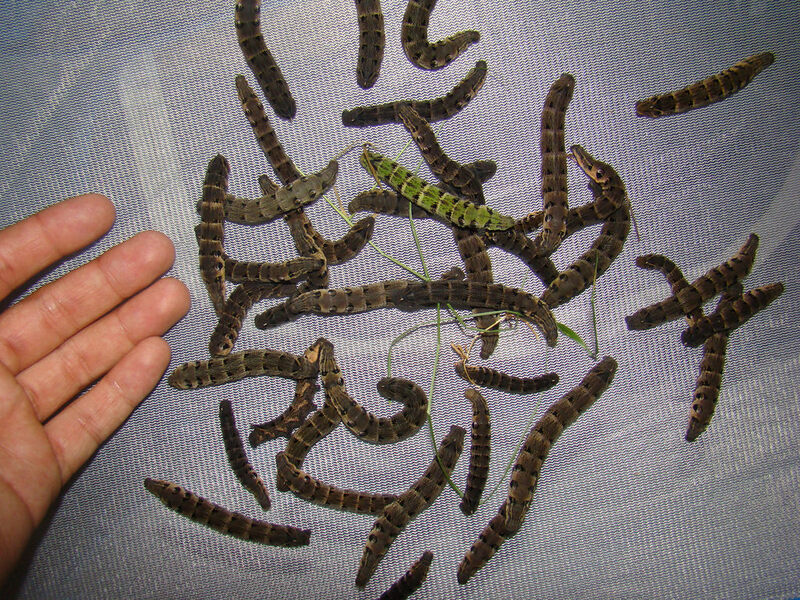 Caterpillars of Deilephila elpenor, note the single green forme! They are easy to rear in a high density and do well in normal room conditions. When the caterpillars are ready to pupate, they will burrow in the soil or find a spot among leaf litter. This Sphingid spins a very loose cocoon-like structure to suspend leaves together before pupating. Overwintering the pupae can be done in a basement, shed or fridge. More often than not, the pupa will take a year to emerge, although sometimes a second generation may occur later in the year.